Kittens... 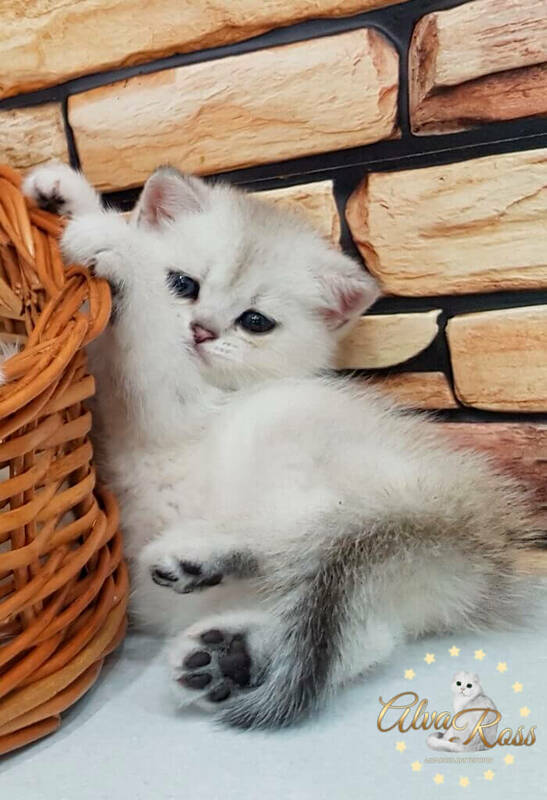 Cute fluffy creatures 🙂 What could be nicer and more charming? There are many different cat breeds... 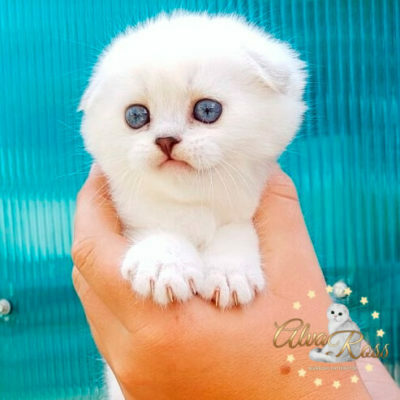 But in this article we will talk about the Scottish breed of cats and, accordingly, about the Scottish kittens! 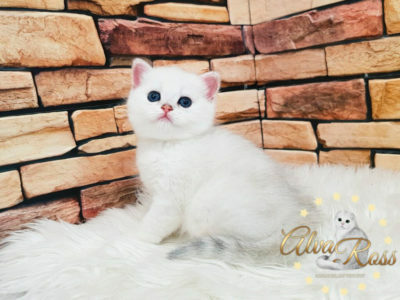 What are these Scottish kittens like? tabby (mackerel, marble, spotted, shaded, ticked). 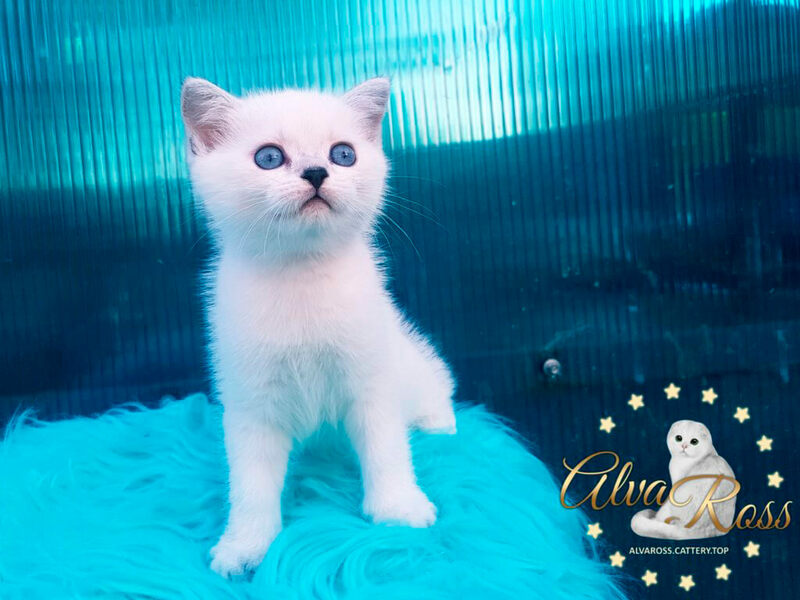 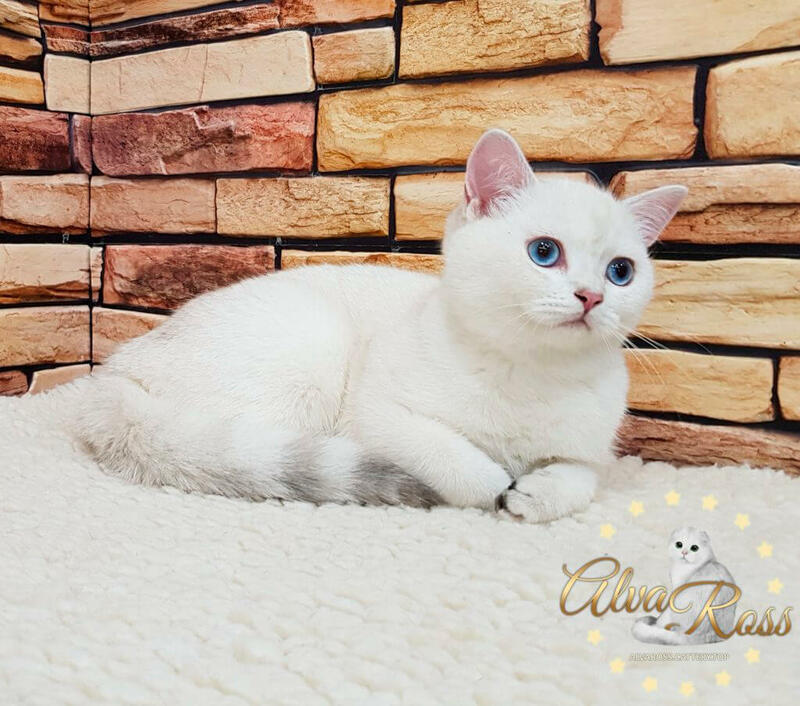 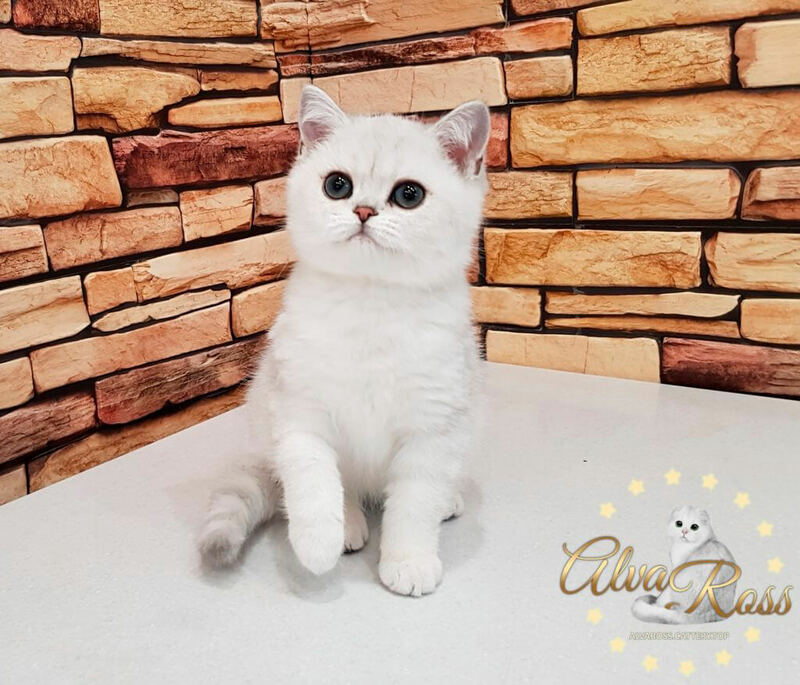 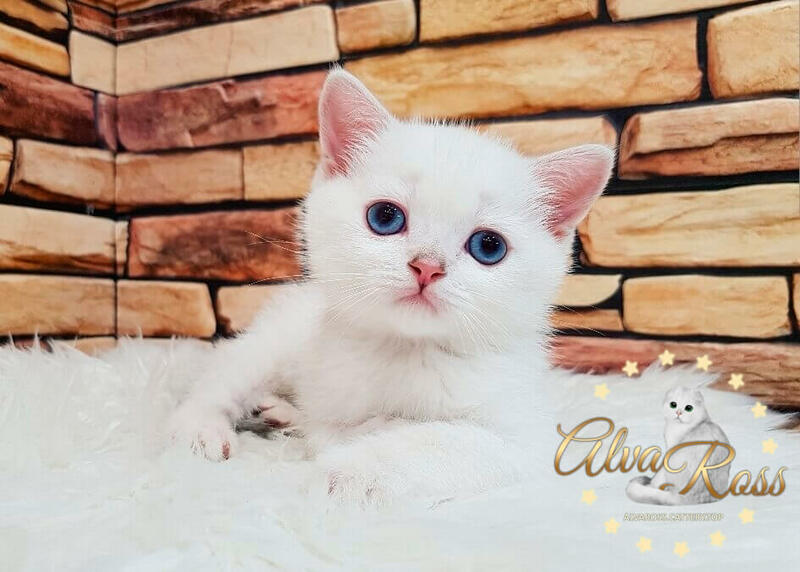 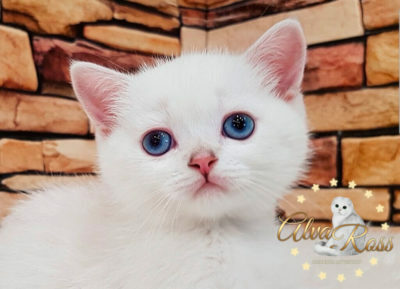 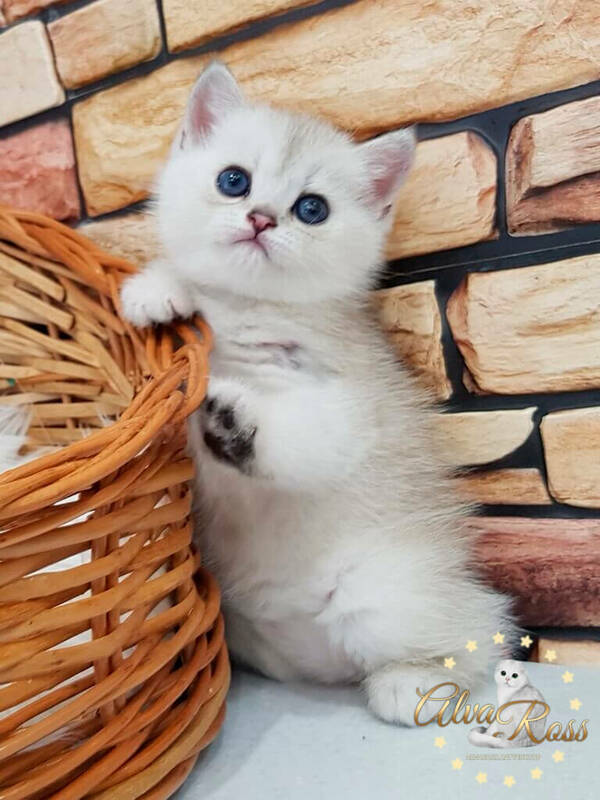 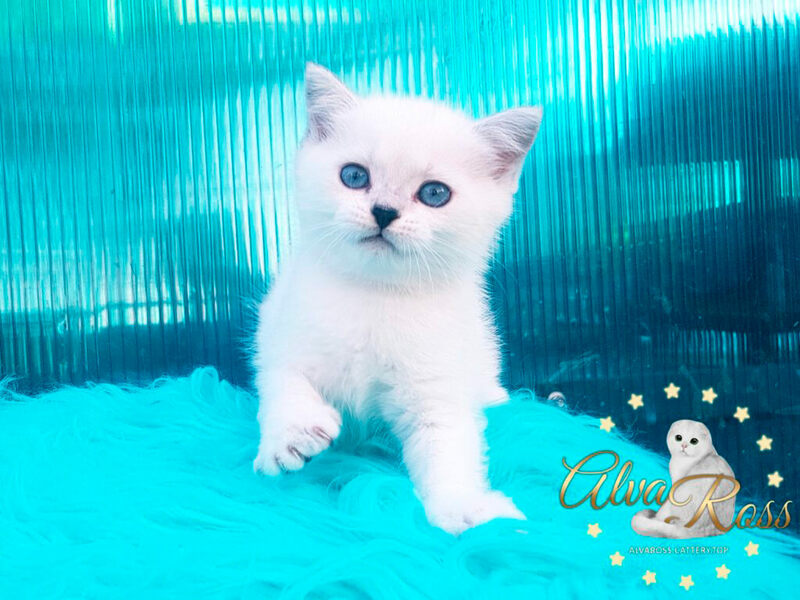 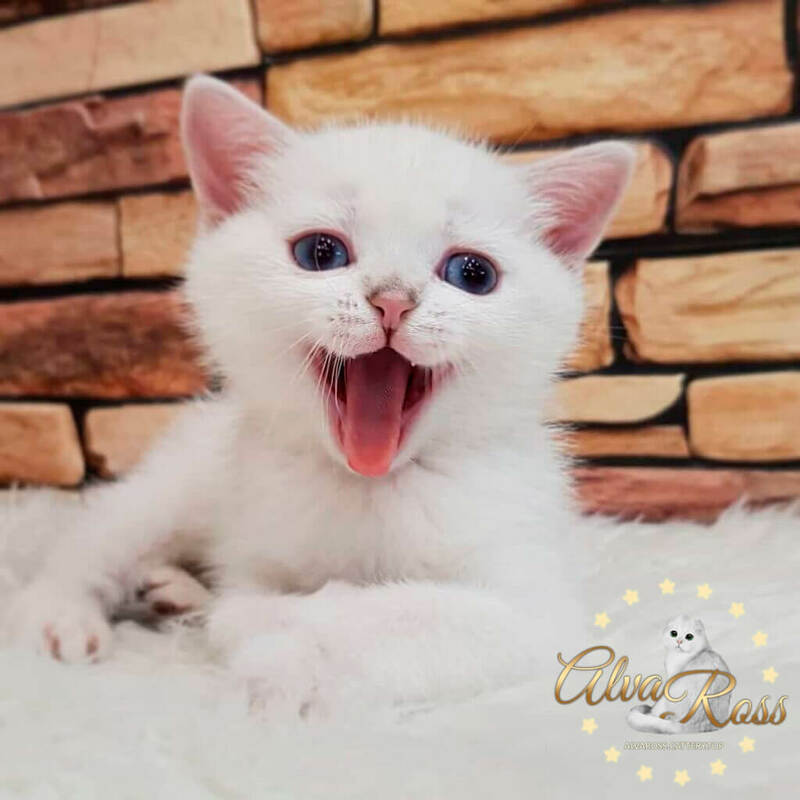 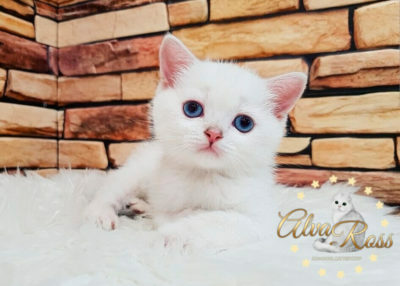 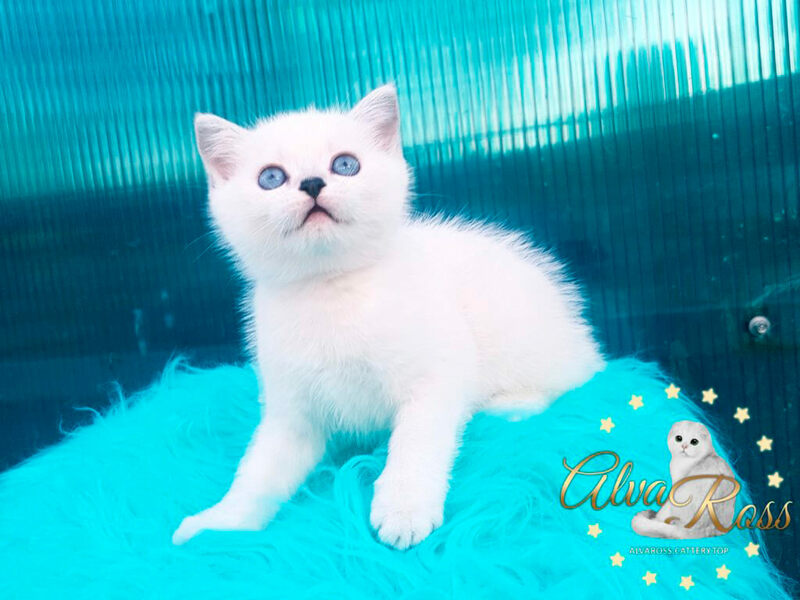 In our cattery you can always choose a charming Scottish kitten with emerald or blue eyes of these rare and precious colors.
! 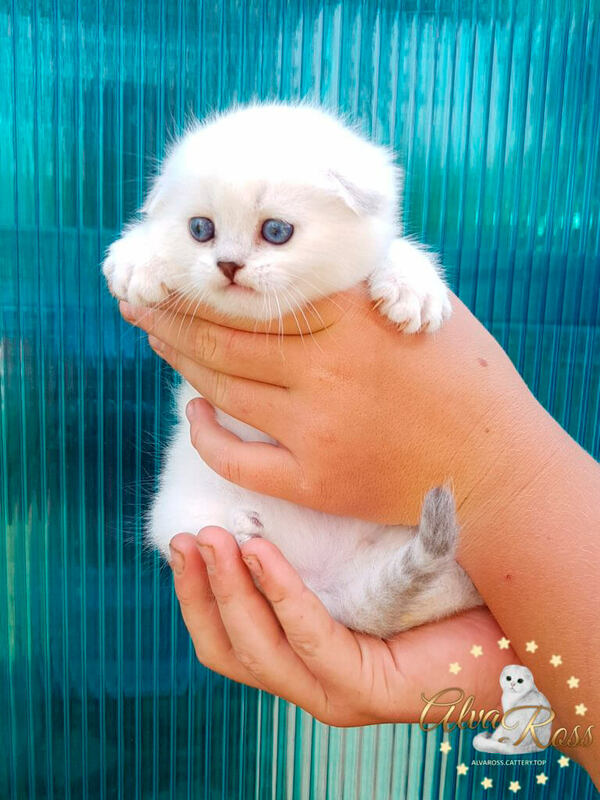 It is interesting ! It should be noted that all kittens (regardless of their color) are born with blue eyes! 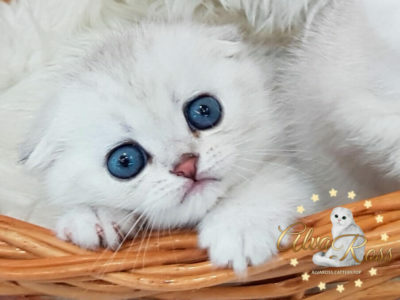 After a time, as a kitten grows, the eyes change color and turn color that match the coat color. 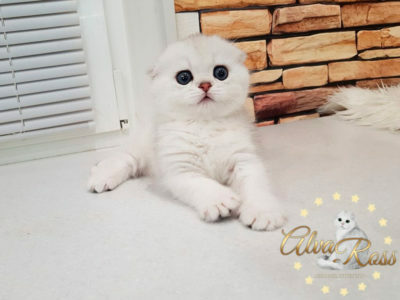 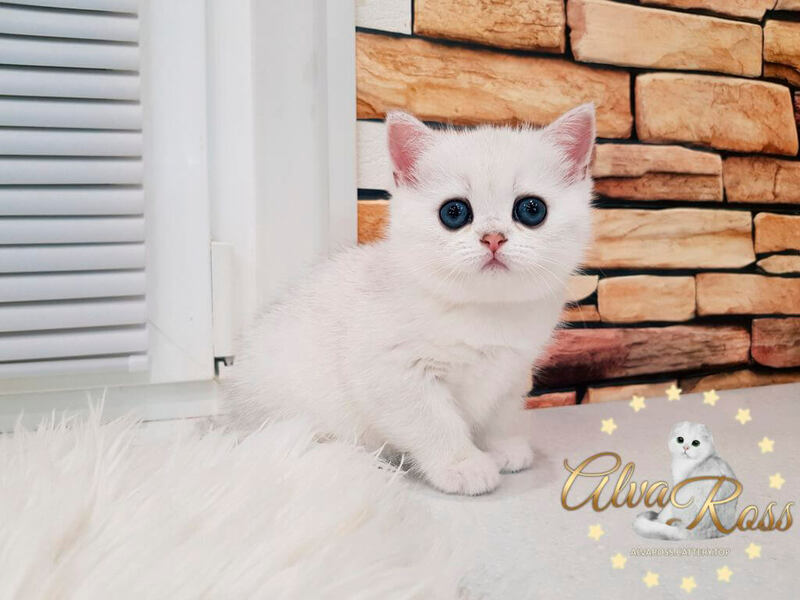 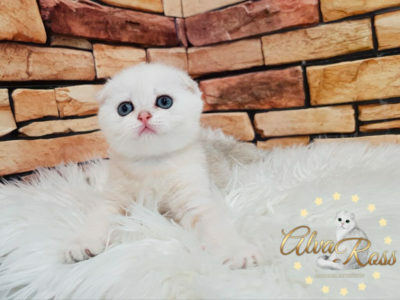 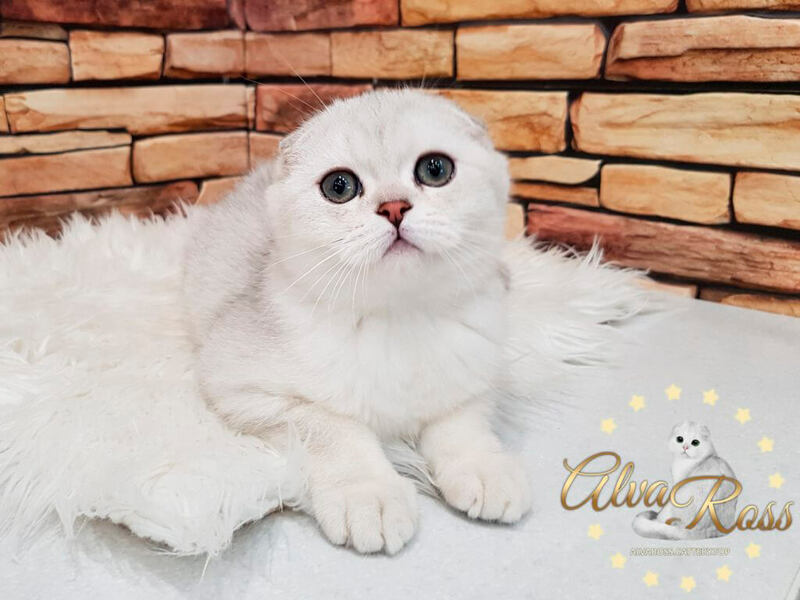 Scottish kitten of chinchilla color from AlvaRoss. Scottish kitten of chinchilla point color from AlvaRoss. 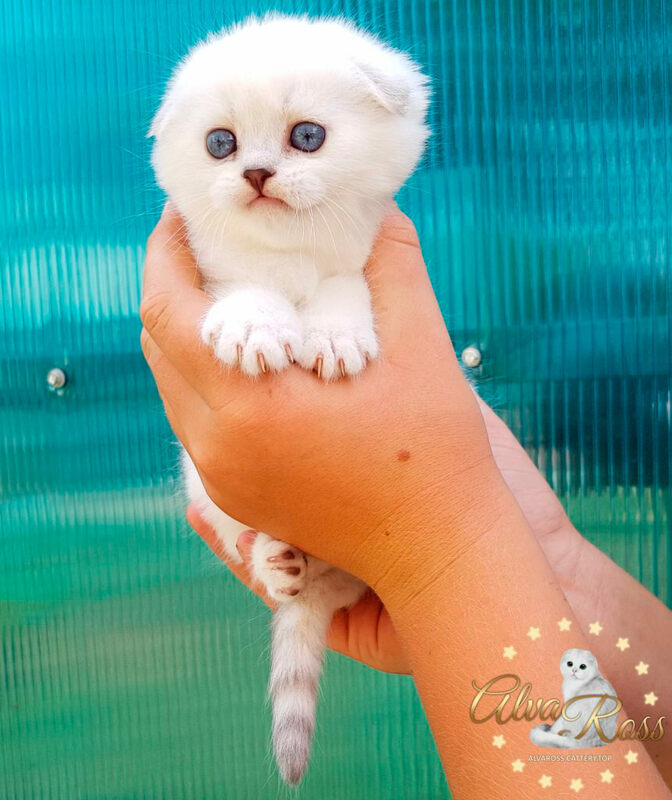 If the gene of this Scottish kitten is not "active" or "did not work", then the ears of such a kitten will not have folds. This kitten is called the "straight kitten". 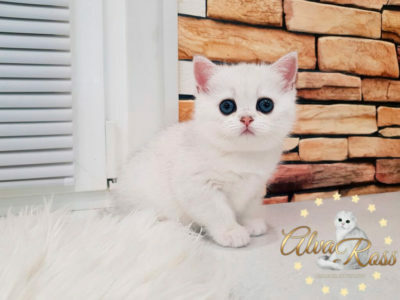 Scottish kittens with straight ears (Scottish Straight, Highland Straight), as a rule, are slightly larger in size than their fold-eared littermates. Scottish kittens with folded ears (Scottish Fold, Highland Fold), as a rule, are slightly smaller in size than their straight-eared littermates. 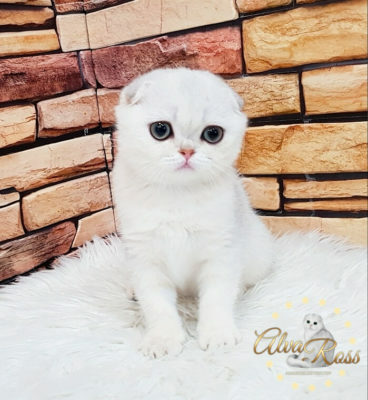 What type of ears do you like? AlvaRoss cattery can offer you to choose Scottish kittens both with straight ears or folded ears. 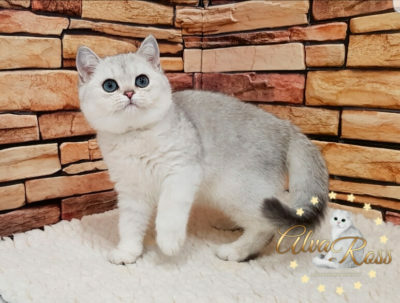 So, we have already considered questions about the variety of colors of Scottish cats, as well as about the types of their ears. Kittens of Scottish breed can have both long and short hair. 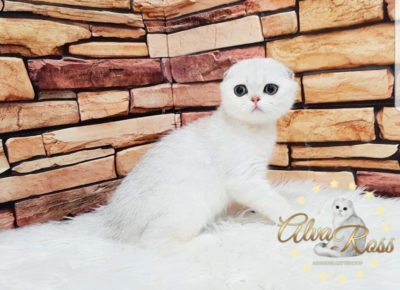 Highland Straight (kittens with straight ears and long fur). Scottish Straight (kittens with straight ears and short fur). 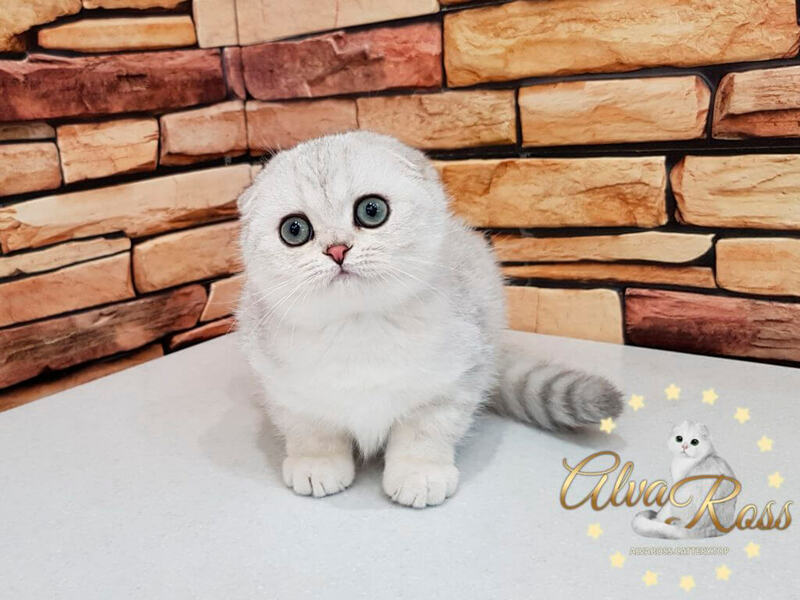 Our cattery specializes in short-haired Scottish kittens.